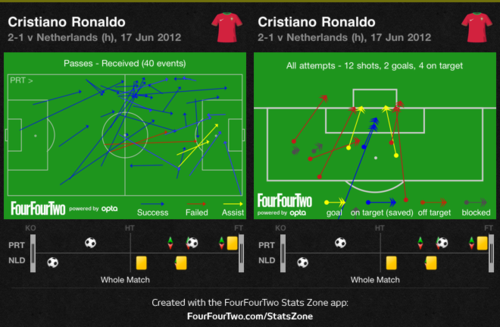 Oranje Crushed: Why did the Dutch fail at Euro 2012? Along with Spain and Germany, the Dutch were pre-tournament favourites, but they went home with three losses out of three games and exit Euro 2012 along with the Irish as the only teams to have gained zero points for their efforts in Poland & Ukraine. The question has been on everyone’s lips since the opening match loss to Denmark: where did it all go wrong? Losing 1-0 to a defensively strong Danish side who were also unlucky to go out in the group stages was not the end of the world, but in the Group of Death it meant that the Oranje would have to get results against a good team in Portugal and the best team (aside from Spain) in Germany. Granted, the loss to the Danish was not all doom and gloom as it was a match that Holland dominated, but a timely finish from Danish star of the tournament Michael Krohn-Dehli (Christian Eriksen being surprisingly absent in all of their games) and then solid defending by the whole team as a unit, so there was some reason for optimism. Players, coaches and pundits alike have been attempting to assess the damage and wading through the garbage that was the Netherlands display at the tournament, it was never going to point to one conclusion. We will start from the beginning. The team selection by Bert van Marwijk was a solid one considering the players available for selection as there was only one “big name” absentee after the squad was trimmed down to the final 23 man roster and that was attacking midfielder Siem de Jong. The glaring problem for the Dutch from the beginning was although they had good goalkeepers in Stekelenberg, Vorm, and Krul, the defense that stood directly in front of the net-minder was considered shaky at best. This was the reason I had predicted an earlier elimination for Holland than most others, because looking at their defensive options, I just couldn’t see them doing a repeat of their final appearance two years ago at the World Cup in South Africa. Van der Wiel is a good right back who can make marauding runs forward, but the center backs left much to be desired. Heitinga is probably the best of the lot, which included Boulahrouz, Mathijsen and Vlaar, but that isn’t saying too much as I believe the Everton defender is a good center back but not a great one. Vlaar started the first game as the regular Mathijsen was out injured and he did alright for someone who has rarely represented his country. When Joris Mathijsen was deemed fit, he was immediately brought back into the side but I do not know why, other than his experience perhaps. Since his move to Malaga it has become more apparent that Mathijsen is past it, and is very very slow and should not remain in the starting XI any longer, while the adaptable Boulahrouz would have been a much better choice, he didn’t see a single minute of action at the tournament. The left back position has been something of a nightmare since Geovanni van Bronckhorst retired and although Wilfred Bouma would have been the most likely replacement, van Marwijk went with the uncapped 18-year-old Jetro Willems, which time-and-time again looked like a terrible decision by the Dutch manager. Without being too harsh on Willems - as he is very young and was thrust into a starting position that he was not prepared for - he was the weakest link in orange and was repeatedly beaten by players such as Ronaldo and Muller. The idea of playing defensive midfielder Stijn Schaars at left back came and went as the tournament started and now upon reflection may have been a better option. So regardless of how good their attack is or any poor coaching decisions that may have taken place, Holland were never destined to win this tournament with such a lackluster backline. They should however have made it out of the group stage as I had picked them to finish runners up to Germany. The quarter-finals could have been a breeze as the stronger teams from Group A – Russia and Poland – were eliminated and the Netherlands could have easily dismantled either the Greeks or Czechs and made it to a very respectable semi finals place, where I would have bet on them being eliminated. Not progressing from the first stage and losing every match however is unacceptable for a team of such talent. Since the defenders available for selection were not very good to begin with, the press could not be too hard on van Marwijk for selecting the four he did, while it was in midfield that the major debate raged. Playing with a single striker and with Wesley Sneijder right behind the front man there were strong shouts to play one creative central midfielder such as Rafael van der Vaart alongside a destroyer of the Nigel de Jong or the aging Mark van Bommel. Bert van Marwijk took two decisions, one being very curious and the other with safety first in mind. Playing with both van Bommel and de Jong in midfield stifled all of the creativity coming out of the back for Holland and left Sneijder and van Persie too far upfield to gain any momentum in attack, which often had the Dutch searching for ways to get out of their own half other than hoofing it forward, and Robin van Persie is certainly not the type of center forward to hold up play with his back to goal so I do not see how that plan was ever going to work. Arjen Robben on the right wing was an automatic choice as one of the stars of Dutch soccer, but he was by and large a disappointment in all three games, perhaps suffering from his Champions League final loss hangover. 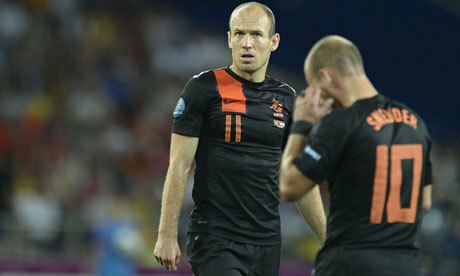 Dirk Kuyt will have felt slighted by not getting a look in with the poor play of Robben. It was on the left wing however where the curious decision to play Ibrahim Afellay was, a player of undoubted quality, but one who had only played a few minutes all season for Barcelona due to a knee injury. Unfortunately for both the Netherlands and Afellay, he may not have been fit and had a hugely unsuccessful tournament as well. With the Oranje having poor play from both of their wings, they were bound to suffer as the 4-3-3 system of wingers runs through the blood of Holland. The same would be expected if there was poor play from other winger-dependent countries such as Portugal (where Cristiano Ronaldo was highly unimpressive in his first two matches, but coming good against Holland in the final game of the group stage). This is where the Netherlands missed the dynamism and tricky feet of Eljero Elia who was not selected from the squad because since his move from Hamburg to Juventus he has not been able to convince Juve coach Conte to put him in any matches and Juventus generally don’t play with wingers such as Elia – which also harmed players such as Simone Pepe and Milos Krasic. Up front it was a choice between Robin van Persie and Klaas-Jan Huntelaar, with van Persie obviously coming out as the first choice striker. The young Luuk de Jong also would have made a very solid backup if either of these players happened upon an injury. Now after the season that van Persie just completed with Arsenal where he scored at will, no one would have anticipated how useless in front of goal this striker was going to be in a Fernando Torres-esque loss of talent and composure. From the beginning, I believed the best decision was to play van Persie pushed to the left side and Huntelaar as the central forward even though van Persie prefers to play down the middle, this would have maximized their on field talent. But considering the poor play of nearly every important attacking player for the Dutch, which was supposed to be their strong point, one cannot point the finger too much at manager Bert van Marwijk and generally speaking he made good decisions about his starting XI, they just couldn’t perform. The one thing he got terribly wrong was playing the central pairing of van Bommel and de Jong. As mentioned before, Mark van Bommel and Nigel de Jong offer very little creativity going forward as de Jong is simply out there to break legs and play basic square balls and van Bommel at 35 once had a scoring touch in his day with PSV, but is now too old and cynical to do anything creative other than theatrical falls. Van Marwijk went with “the people” and the press by introducing Rafael van der Vaart as a super sub for van Bommel when the Dutch needed goals and the Spurs man delivered by hitting an early goal against Portugal, which one would believe made him the correct choice. Well, although van der Vaart offered more creativity and goalscoring going forward, he was terrible in his position as he was essentially trying to play the same role as Wesley Sneijer leaving huge gaps in the Dutch midfield that de Jong had no chance of covering on his own. It ruined their shape and exposed their poor defending even more. So although Van der Vaart may pop a goal here and there, Holland were always more likely to concede way more and especially against quality sides. The man who should have started beside Nigel de Jong in front of the old Mark van Bommel and the anarchic Rafael van der Vaart, is the perfect combination of the two in PSV Einhoven’s Kevin Strootman. Defensively sound, positionally aware at all time and creative going forward, he could have accomplished the passing out of midfield to the array of Dutch player pushing forward, while also being steadfast in the tackle while playing alongside the hulking Nigel de Jong. With Strootman in the center, van Persie pushed to the left and Huntelaar down the center in front of Sneijder, I have no doubt that Dutch could have played significantly better offensively and defensively and progressed past to Portuguese to join Germany in the quarter finals. That would have left players like Kuyt, Afellay, Luuk de Jong and van der Vaart (and well van Bommel himself) as super subs capable of coming into the game late and changing the style of play if necessary. The beginning of the end for the Netherlands truly began in the game against Germany, where Bert van Marwijk decided not to make any changes to his side other than reinstate Joris Mathijsen to his center back role in place of Ron Vlaar. Obviously the manager thought that the way his team played against Denmark had enough quality just unlucky to poor finishing and that the same starting line up against Germany would be effective. Until the final 15 minutes of the match, he was very wrong. Afellay as mentioned before was marked right out of the game by Jerome Boateng who did well to keep his place in the German side after his late night partying that almost cost him his place in the team altogether. With Lars Bender pushing for a starting spot, the center back turned full back Boateng did a very good job marking Afellay out of the match the same way he did with Nani in the game against Portugal before. On the other side of the pitch, Bayern Munich teammates Arjen Robben and Philippe Lahm squared off with the German captain coming out on top time and again. Some pointed out the fact that perhaps because Lahm is teammates with Robben at club level he knew the flying Dutchman’s preferred moves, but not to take anything away from the considerable defensive work done by Lahm, Robben was very predictable. Always looking to cut to the inside and shoot on his left foot, while never looking to play a pass to his teammates, the skillful yet occasionally dense and continuously selfish Robben was again disappointing just as he was against Denmark’s excellent Simon Poulsen. While on the German side, van der Wiel did a solid job against Podolski, but Thomas Muller on enough occasions got the better of the inexperience Willems at left back for Holland, although this was not a poor match for the 18 year old and was probably his best of the three. It was in the center of the park where Germany won this match as with Sneijder pushed high up the pitch behind van Persie the Dutch had van Bommel and de Jong facing off against Germany’s Khedira and Schweinsteiger with both Germans looking fabulous in their passing and movement and both Dutch looking poor and out of position. Part of this was because of the excellent work done by Mesut Ozil and he was essentially playing the Wesley Sneijder role for Germany right behind Mario Gomez but because of the dominant play of Khedira and Schweinsteiger he was able to dictate play far more. 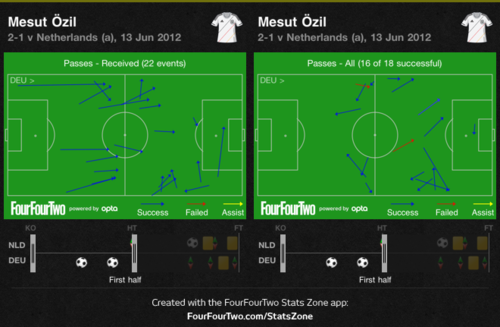 Ozil would regularly make run to the right joining up with Muller in overloading the young Willems at left back. 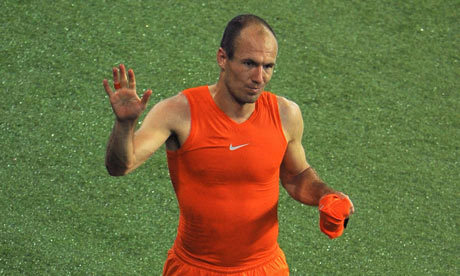 With Nigel de Jong playing as the deepest lying Dutch midfielder, Ozil was able to regularly pull de Jong over to the right in order to track his runs, which would leave Mark van Bommel alone in the center to try and stop the rampaging runs and passes of the German midfielders and the sad old legs of van Bommel were not up to the task. Well, it would be hard to think of any midfielder who on their own would be able to prevent Khedira and Schweinsteiger from dictating play. With both German midfielders bravely moving forward, this would have left Sneijder open as de Jong was covering his opposite Ozil, no German midfielder was tasked to tracking Sneijder, this was left to the center backs Badstuber and Hummels. They would stay back and mark van Persie and Sneijder with the confidence of 1 v 1, which teams with solid center backs can get away with. Something the Germans have and the Dutch do not. Having solid defenders who can play the ball forward changes the way teams play even in attack, such a fluid club teams like Barcelona and to a less-successful extent Roma. 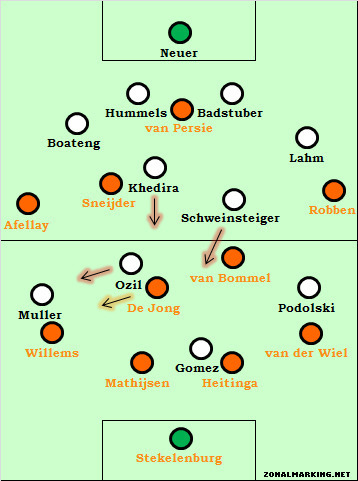 The first German goal came from exactly these points; de Jong was dragged to the left back position by Ozil, van Bommel was marking Sami Khedira, and with Wesley Sneijder pushed way up field, Bastian Schweinsteiger had the whole center of the pitch to play in Mario Gomez for the goal. The funny thing is the second goal happened exactly this way again, with van Bommel strangely marking Khedira once more even though Schweinsteiger was in a much more advanced position and he once again played in Gomez for a goal. Those were the only two passes Schweinsteiger made to Gomez all game and both lead the Germans to a 2-0 lead. Bert van Marwijk knew he had to change something to get this game turned around but since already down by two, he didn’t make the sensible change of Strootman for van Bommel but the drastic attacking switch in bringing on van der Vaart to better link the midfield to attack. 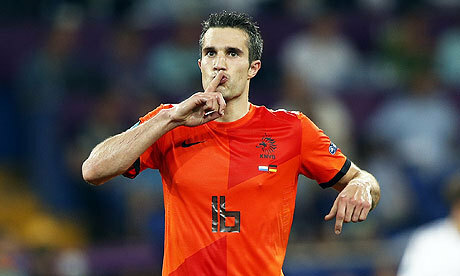 He then made the smart move of dropping Afellay for Huntelaar with van Persie moving out to the left. For the first chunk of the second half this didn’t seem to change too much, and it was in fact a strange “what the heck, we’ve tried everything else” decision of moving van Persie into the middle and Sneijder out wide where he never plays that seemed to do the trick. Holland pressed for a goal, which was more of an individual effort than of the team and managed to have Germany on the back foot for the last 15 minutes of the game. This was mainly because Germany wasn’t defending as well, allowing too much room on the flanks and their manager Joachim Low not using any of his substitutes to remove tired legs until late on. The Dutch forwards only pressed the Germans on the edge of the German box and then there was no further pressure until the Germans reached the edge of the Dutch box where de Jong and their defenders sat, leaving much of the center of the pitch uncontested. Germany just needed to get into those spaces and run the time out for a surprisingly comfortable victory. In the final and deciding game where the Netherlands had to beat Portugal by two goals and have Germany defeat Denmark in the other Group B match to advance, the Dutch simply played like a bunch of individuals against a well organized Portuguese team by Paulo Bento in his funny dress shirts. This is regularly a problem for the Dutch, too many star players who don’t get along and don’t play well as a team, ie. Arjen Robben and a few others. Bert van Marwijk decided to stick with the team that finished the game strong against Germany (other than Vlaar in a straight swap with Heitinga at the back) with van der Vaart in the place of van Bommel and Huntelaar up front with van Persie right behind him and Sneijder confused out on the left. Once again it was very frustrating not to see Kevin Strootman play a minute in this tournament as with van der Vaart in a central midfield role, he played a game as only van der Vaart can. Although he scored an early curling shot past Rui Patricio in the Portuguese net, whenever the Dutch didn’t have the ball he was all over the place in a free running role like he has for Tottenham causing the whole team to lose shape and not performing any defensive duties. Oddly from van Marwijk as well was having van der Vaart center-left as that put him on Cristiano Ronaldo’s side of the park and he was never going to even consider defending the most potent attacking threat in the tournament. Nigel de Jong would have made more sense on that side, and unsurprisingly this was the game where the real Ronaldo finally stood up after very disappointing displays against Denmark and Germany, and dictated the play for Portugal as well as scoring a goal. Even though Holland were going to look worse at the back with this shape, they were supposed to be better going forward with more attacking options right? Well no, it was simply more of the same. The best left back in the world Fabio Coentrao shut Arjen Robben out as he was ineffective again and Wesley Sneijder unaccustomed to his left sided role had his quietest game of the tournament. 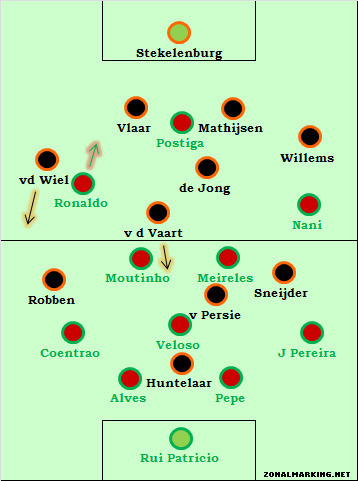 With Miguel Veloso always staying goal side of Robin van Persie and the other two Portuguese midfielders Moutinho and Meireles forming a diamond in front of him, the Dutch were stifled moving forward and Huntelaar barely saw the ball. The Dutch looked poor at the back as always and now just as bad going forward as like the Croatians in their losing effort to Spain, they needed to win so they did not use a normal game plan and just tried to throw players forward at their own demise. Bert van Marwijk tried restoring Sneijder to the middle with van Persie going right and Robben switching to the left but that didn’t seem to do much. It did however help Robben in his predictable cut inside and shoot on his left move. So then they finally went for broke with Jetro Willems off and Ibrahim Afellay coming on for one more attacker and a three man defense. Although rather than playing like it, Holland looked more like a back four with no left back and Mathijsen didn’t shift over much. With the game at 1-1 after Ronaldo had equalized for Portugal, Nani exploited this space at left back and played in the captain for another goal and a second consecutive 2-1 loss for the Netherlands. Therefore although there were coaching decisions by Bert van Marwijk that I truly disagree with, he did not do anything too crazy or wrong (like England’s not bringing Rio Ferdinand to the tournament) and it is more the Dutch players themselves who played themselves out of this tournament. Poor finishing from the strikers, mainly their star Robin van Persie, too many individuals in midfield and without a creative in the center, and a poor defense to begin with meant the Dutch were going home early. Although I would have had Strootman in for van Bommel and not started the fresh back from injury Afellay, it is mainly the players’ fault for this exit but van Marwijk is the most likely to face the Netherlands exit for his few poor decisions. The Dutch media as expected began crapping all over the team with De Telegraaf posting the line “Oranje, Shame on You!”, Nieuwsblog stating “…no team has ever destroyed its reputation so quickly and so thoroughly as Holland have managed,” (which is incredibly over the top if you consider France at the 2010 World Cup), while it was Chris Nijnatten at Algemeen Dagblad who got it half right half overboard with his comment: “The Dutch team now knows where it stands. In the pale regions of the margins of the world elite. The belief was based on an illusion. It was the belief in a disjointed group, full of misunderstanding and full of gossip. It was the belief in key players without enthusiasm (Robin van Persie) and without a future (Mark van Bommel).” All very dire straights for a team who made it to the World Cup final two years ago with basically the exact same players only to lose 1-0 to the victors Spain in extra time and after a red card. That was the tournament however where the Dutch abandoned their fluid attacking instincts and went for the selection of players such as Nigel de Jong who will forever be known more for a karate kick to the chest of Xabi Alonso than for any footballing ability. I always used to support Holland in tournaments, but I decided in 2010 that I just didn’t like this group of players and sure enough the famous Dutch infighting wasn’t too far away. Denmark’s Christian Eriksen stated to the press that he believes the Dutch went out early of this tournament because of their success in the previous one and the players had become too arrogant. Arjen Robben hinted to the press that unrest in the dressing room is what undid the Dutch squad, which is sadly an all too familiar plotline for the team in orange, a team who lost legendary players such as Clarence Seedorf because of such infighting. Wesley Sneijder has taken the stance that manager Bert van Marwijk is not to blame for the team’s early exit from the stage and that rather a player acting as a “mole” within the team is to blame. Holland’s best player and future captain in Sneijder is left convinced that a player in the squad was leaking the Dutch team’s tactical plans to the press before matches. That sounds highly unlikely unless someone like Dirk Kuyt decided to ruin the whole team if he wasn’t going to get a start. And yes, that does sound ludicrous. The players have started to stand up for their coach and take the blame, sort of, but van Marwijk will not be with his country as they look to qualify for the next World Cup in 2014.